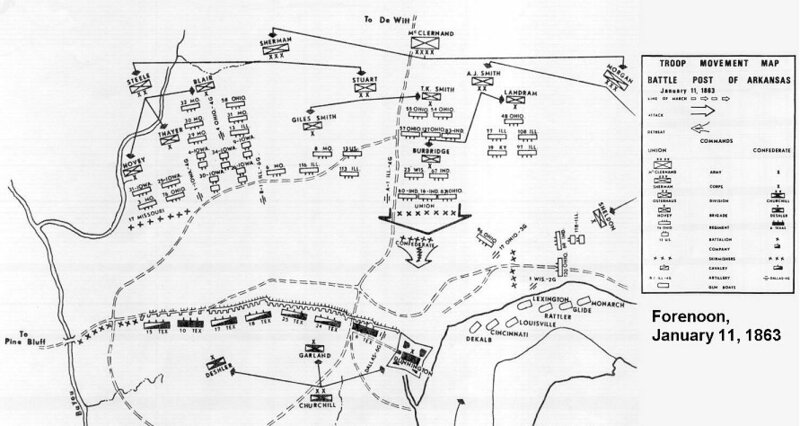 This map shows the morning position of the 77th Illinois within Landram's Brigade at the upper right. Edwin C. Bearss' Troop Movement Map -- Battle of Arkansas Post, Forenoon, January 11, 1863, 1971. Special Thanks to Brian K. McCutchen, Historian, Arkansas Post National Memorial.